Well this primer takes the prize for the fanciest piece of makeup I own. 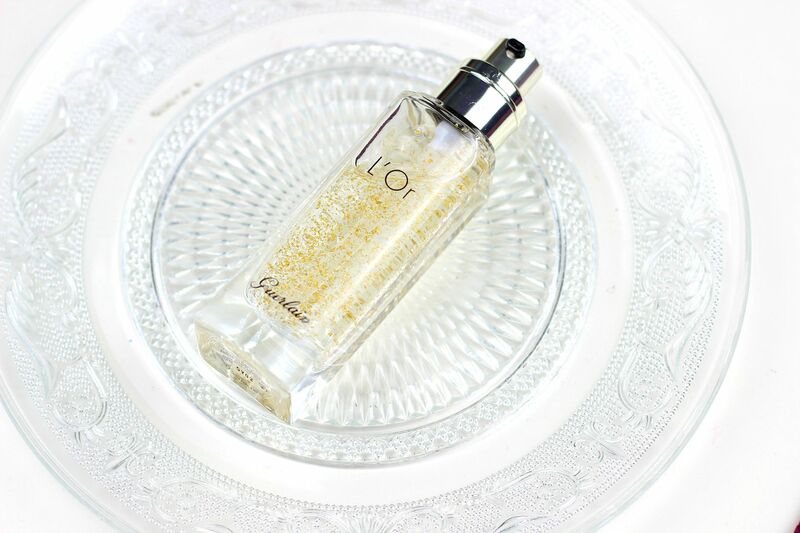 Say hello to the Guerlain L’Or radiance concentrate. It has flecks of real gold in it. I know. Without even trying it, this primer is just so gorgeous to look at. A heavy glass bottle, a gold embossed lid and then the primer looks like that fancy champagne with gold in it. A primer with gold in it is much more exciting though. The texture is like a cooling gel – one pump is dispensed which is enough for the face – that I find easily spreadable. The gold flecks aren’t visible on the skin, but a really flattering glow is left on the skin – nothing too obvious but the skin just looks healthier and with more radiance. 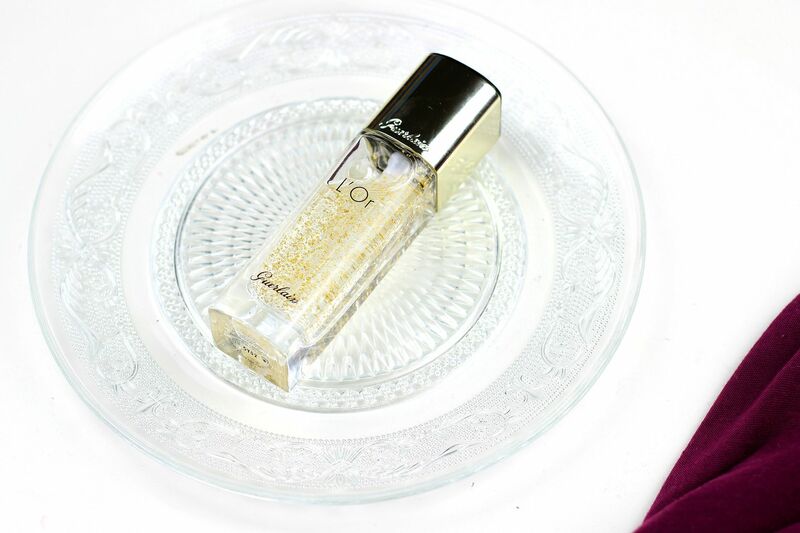 In terms of effects, I find the Guerlain primer to be excellent at hydrating and smoothing – it didn’t really help with oil control. On my skin though, making sure that everything is hydrated and smoothed is my main concern so this is like my perfect primer. I also find the texture really good for making things feel plumper and more hydrated. I think this primer is perfect for those with dry and dehydrated skin and more mature skins – those with oily skins or pore problems wouldn’t reap the benefits as much. If you liked this post you might like this post on using shaving balms as a primer or this post on getting the glow. Foundation routine for glowing skin.